YouTube is a website designed for sharing video. Millions of users around the world have created accounts on the site that allow them to upload videos that anyone can watch. Many users create and manage playlists to organize their videos and provide an extended viewing experience. This make it easy for viewers to lean back and watch multiple videos with minimal effort. If you really like a Youtube playlist, you should clone that Youtube playlist into your Youtube account. 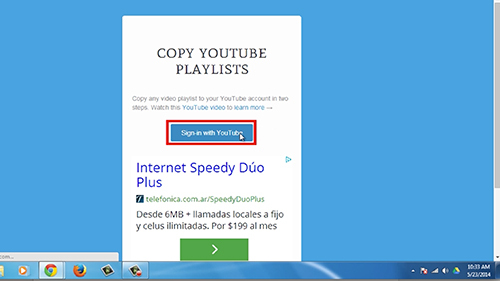 First of all you have to sign in to your Youtube account through a web tool that will let you copy any playlist to your account. Open your browser and go to “ctrlq.org/youtube/playlists”. Then click on the “Sign in with Youtube” button. Enter your account information and press “Sign in”. Allow the app to access your Youtube account. 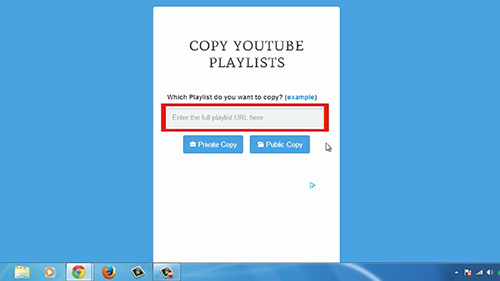 Now enter any YouTube playlist URL. You can copy and paste it. Then choose to set it as a public or private playlist. The playlist has been copied! You can check it by clicking the “list of videos” link. Result: Congratulations! You’ve just learned how to Copy Someone Else’s YouTube Playlist.